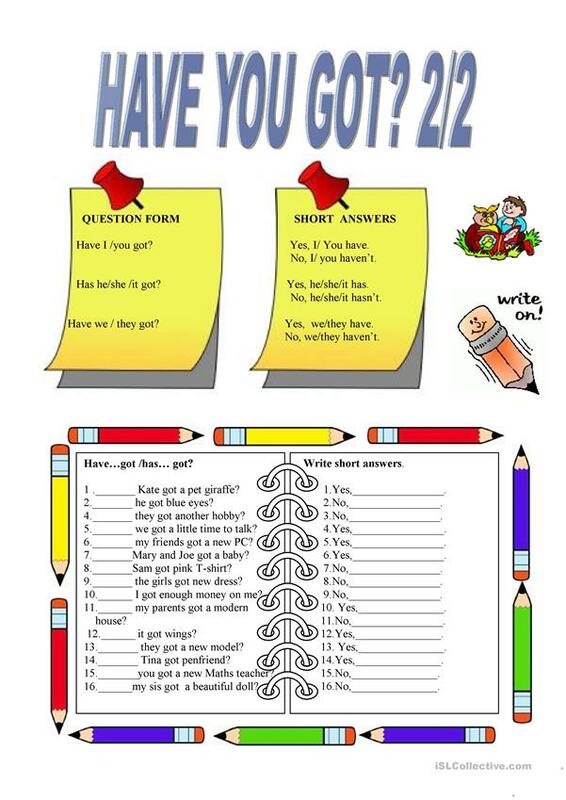 Questions and short answers with have, has. practice have,has with ?s and short answers. The above downloadable teaching material is best suited for elementary school students at Beginner (pre-A1), Elementary (A1) and Pre-intermediate (A2) level. 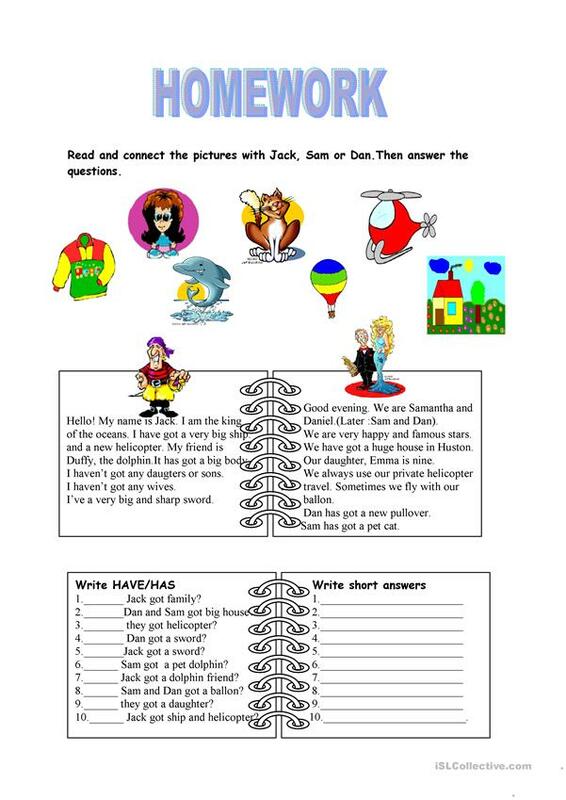 It is aimed at consolidating HAVE GOT or HAS GOT, Questions (interrogative) and Questions and short answers in English, and is excellent for developing your class' Reading and Writing skills. You will find the answer key at the end of the worksheet.